You don’t have to sign up to a course, go out with any kind of tutor in your car, or even spend more than a tenner to continually improve your driving once you’ve passed your test. All you need is a decent source of information, so you’ll need to invest in a copy of the police driver’s bible, a book called Roadcraft. This tells you how to deal with any situation you’re likely to encounter behind the wheel, and for just a tenner or so, you’ll learn all sorts of great techniques that will make your driving smoother, safer and more comfortable. However, Roadcraft isn’t the only guide to better driving; there’s a whole stack of other titles that do a great job too. 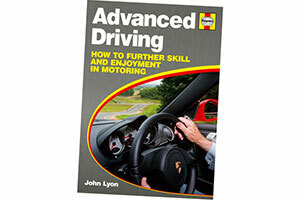 The IAM has put together its own bible, Pass your advanced driving test, while Haynes Publishing does one that’s simply called Advanced Driving. All of these guide you through how to be a better driver once you’ve ripped up your L-plates, and unlike the structured courses already mentioned, you can learn at your own pace, at a time that suits you, and without anybody constantly assessing you.